Organisations can be tyrannical places in a sense. Very different to the world we live in outside work. In the morning we arrive at work and step into an older hierarchical world. At the end of the day we leave work and step back into our democratic lives – for those of us who live in a democracy. 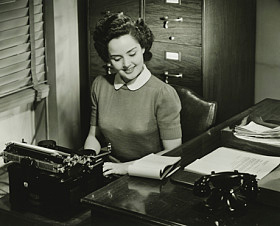 But are we on the brink of a new world of work? Tyranny is a pretty strong word. I’m certainly not using it in the same sense experienced by many people in the world who still suffer under tyrannical rule and have little if any freedom. I mean the way that some managers can exercise power or control within the organisation. There’s an old world nature about it. Organisations can be very hierarchical, bureaucratic and pretty dreary for many. Managers are in positions of power. They can hire and fire. Anyone beneath a manager in the hierarchy is subordinate to that person. The manager can control that person (to an extent). This is necessary to organise a group of people to achieve something, but the question is a degree of control versus lead. I believe a new type of workplace is emerging. You can see it in the tech startups for example. Their people are more like partners in a sense. The culture of equity in these organisations is testament to this. A local example is Shoes of Prey. It only takes a little familiarity with their blog to understand that working at Shoes of Prey is different. In the new world of work organisations rely less on hierarchical power and more on leadership and partnership. This change has been happening for some time now to be sure. Picture work now compared to the 50s for example. The big difference though is that in the new world people may still need to be organised to achieve things, but by having more visibility and understanding for what each is doing, they need less control. They can have more autonomy in the way about which they achieve things. People can be more like collaborators. Technology is making this possible. Step into a government department and you might wonder if this new world could ever possibly happen though. They can be the very embodiment of bureaucracy and control. Is the new world a possibility for all or just for those who work in the likes of the tech startup? Some days I think this is possible, some days not. History gives us some hope though. This sort of thing has happened in the past. There are a number of examples, but perhaps one stands out amongst the others. In the 6th century BCE, the Greeks brought about a new world with democracy. At the time you could have been forgiven for thinking this not possible – the Athenians lived under tyrannical rule. So how did it happen? Was it high minded thinking by great individuals? Will it take this sort of effort to bring about a new world of work and can this happen now? The answer is that democracy and the new world came about in part because one man named Cleisthenes saw an opportunity to gain power over rivals by giving the people rights and a say in things. He may have been high minded as well, but the point is that this isn’t a requirement. To say that the people gravitated towards Cleisthenes is an understatement. 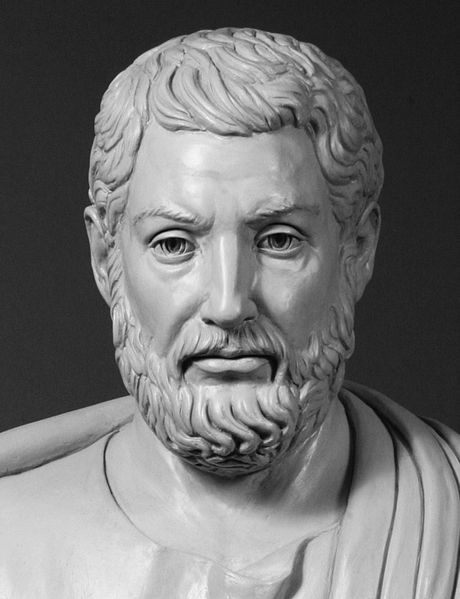 In our day, organisations like the tech startups and others are our Cleisthenes. If talented people gravitate towards new world organisations, which they surely are, great change can occur. How long can the old world organisations last, if talent gravitates towards the places where they can be their best? For our part, we want to help make the new world possible in 2013. In the last blog post I introduced the differences between Crowdsourcing vs. 360 Degree Feedback. In this post we’ll look at some different needs and pick the best tool for the job. Identifying actual behaviors to develop as opposed to general needs. Targeting the training budget to highly specific needs. Providing the organisation with quantitative data and analysis. Giving an individual a comparison to a benchmark. Finding the gaps between how well a person knows themselves compared to how others see them. Analysing a group of people for common strengths and areas needing development. 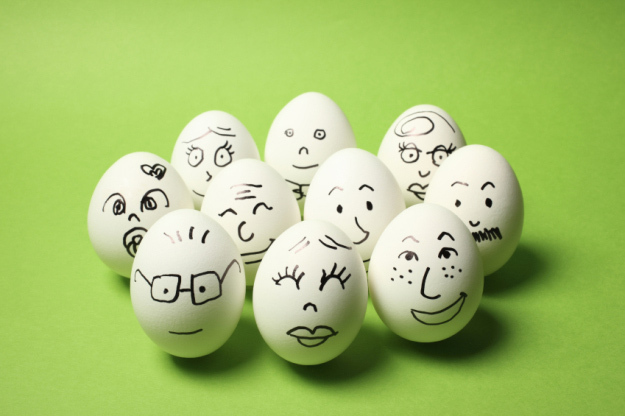 Crowdsourcing is a great new tool for the manager’s toolbox. Getting feedback at a moments notice. Obtaining general and open-ended feedback. Feedback that is not prompted by set behavioural categories and questions. Asking for feedback from colleagues to support your performance review. Getting ad-hoc feedback on team members to support their performance review. Getting feedback on team members who you aren’t working directly with (for example, when team members are working in project teams). Enabling people to discuss feedback together. Crowdsourcing is a useful tool for getting feedback on ad-hoc things at a moments notice. It has a much less formal feel and is very much in line with our social technology age. For example, people can discuss the feedback together. It doesn’t replace 360 Degree Feedback which is very effective at identifying highly specific behaviours where people can be developed. But crowdsourcing is a great new addition to the toolbox that can simplify life for managers and HR. In a previous post I talked about my experience crowdsourcing for feedback. It’s a much different experience to receiving 360 Degree Feedback. It’s less formal for a start and you have total control over it. Crowdsourcing has a number of advantages over 360 Degree Feedback. Which begs the question, should 360 be consigned to the scrap heap? Let’s start with a basic understanding of the two approaches. 360 Degree Feedback is an organised process where people receive feedback against a questionnaire. The questionnaire is usually based around a set of competencies and behaviours. For example, new leaders may receive feedback against a set of competencies and behaviors that define good leadership. Responses are provided by a number of people who are invited to give feedback. To be able to provide good quality feedback, they need to know the person well. 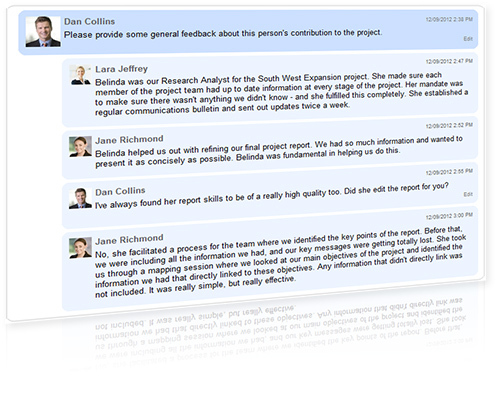 You can read more about 360 Degree Feedback on our web site here and here. Crowdsourcing is a less formal tool that you can use to go out to a wider group of respondents. For example, you might crowdsource using every person in a department as a potential respondent. Unlike 360 Degree Feedback, there’s no expectation that every person in the group will respond. You can initiate crowdsourcing as and when you like it. Although you wouldn’t want to annoy people too frequently, crowdsourcing is suitable to use more than just once or twice a year. There’s a big difference with the number of questions you ask with each tool. With 360 Degree Feedback you might ask 60 highly specific questions. With crowdsourcing you might ask just one or two questions like “can you provide at least one suggestion where I can improve as a leader”. In the second part of this blog post we’ll look at whether crowdsourcing or 360 Degree Feedback is the best tool for the job. I’ll give some examples of different needs and pick a winner.